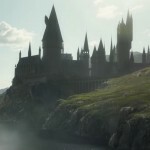 How often while reading the books or watching the films have you dreamt of attending Hogwarts School of Witchcraft and Wizardry with your favorite Harry Potter characters? A new mobile gaming experience from Portkey Games will be making your dreams a virtual reality in 2018. Once you’ve settled into the school, your character can move through the years while doing all the same things Hogwarts students do: taking part in Duelling Club, for example, or going to classes such as Potions and Defence Against the Dark Arts. There’ll be faces you recognise, too, with many subjects taught by Professors you may already know and love (or know and dislike, depending on who they are…). This sounds like the magical experience that every Harry Potter fan has been waiting for! 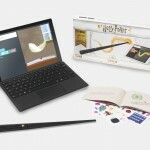 We don’t know for sure what features the game will include, but maybe after hearing the sorting hat sing his little ditty in your ear you’ll be off exploring the castle with the Harry, Ron and Hermione–with the Marauders map in hand? 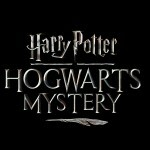 It looks like Hogwarts Mystery may be available prior to the release of Harry Potter: Wizards Unite, the Harry Potter version of Pokemon Go that was announced last month, but we couldn’t be more thrilled to get to Platform 9 ¾ next year and start our Hogwarts adventure with Portkey’s first transport. 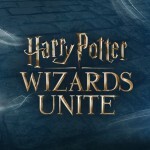 For more information on the game, follow them on Twitter and pre-register for your own Hogwarts’ acceptance letter on their website here. Are you excited for Harry Potter: Hogwarts Mystery? What kind of magic do you think the game will include? We can’t wait to hear your ideas!